Welcome to Jessica Uhl and Kelli’s Uhl website. 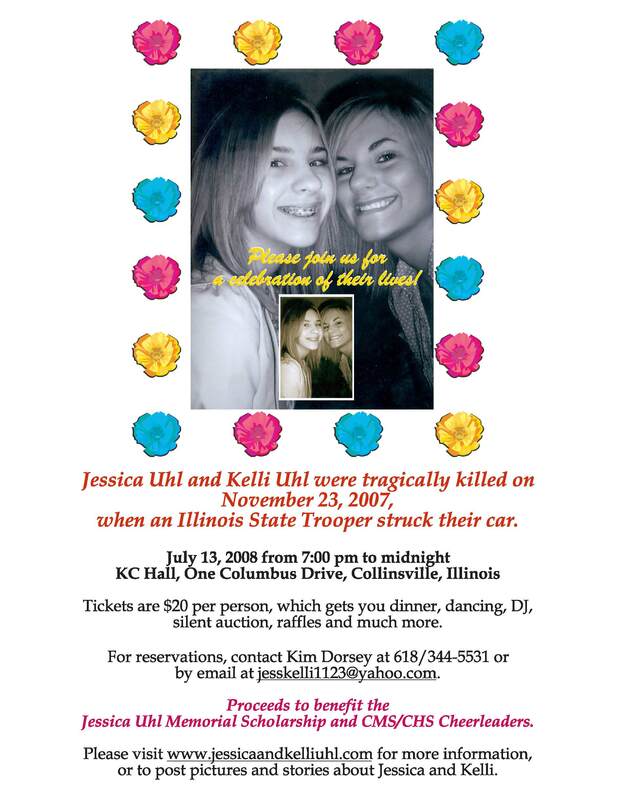 Jessica and Kelli were killed on November 23, 2007 when an Illinois State Trooper, travelling 126 MPH, crossed the median and slammed into their car, killing them instantly. Jessica was a freshman at Southern Illinois University in Edwardsville. She was pursuing a career in marketing and public relations. 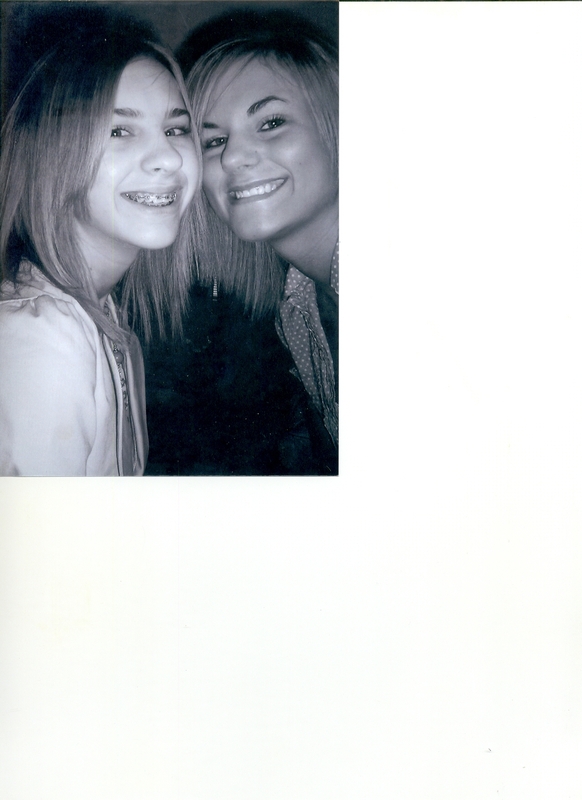 Kelli was in 8th grade at Collinsville Middle School. She was a cheerleader and a member of the National Junior Honor Society. They left behind their mother and father, step-mother and step-father, a sister and a brother, and many uncles, aunts, grandparents, cousins and friends. To celebrate their lives, a fundraiser will be held on July 13, 2008 at the KC Hall in Caseyville, Illinois. Tickets are $20 per person, which include dinner, dancing, a DJ, silent auction, raffles, door prizes, and much more. You can request tickets through here by leaving a comment, or by email at jesskelli1123@yahoo.com. All proceeds benefit the Jessica Uhl Scholarship Fund at SIUE, the CMS/CHS Cheerleaders, and other organizations. This website was created, not only as a source of information for their fundraiser, but also a place where friends, family, or perfect strangers can post stories, comments, thoughts, pictures, or memories about Jessica and Kelli. Although they were taken from us suddenly, we can remember them here.